Genetic modification (GM), also called genetic engineering or GE, is the introduction of new traits to an organism by making changes directly to its genetic makeup, e.g. DNA, through intervention at the molecular level. With genetic engineering, scientists can change the traits of plants and animals by inserting DNA pieces, whole genes, or long stretches of DNA segments from many different organisms. These genetic sequences can also be taken from the same species or be newly made up. Scientists can also delete or swap DNA sequences in organisms or introduce genetic material to silence genes. Is it called GM or GE? The terms genetic engineering (GE) and genetic modification (GM) are both used to describe recombinant DNA (rDNA) technology. GM is the term used in international agreements and in European regulation as well as in many other English-speaking countries. GE is the term used in U.S. legislation. The Canadian government uses both terms and instead regulates what it calls “Plants with Novel Traits” and “Novel Foods” which include products of genetic engineering but also products of conventional plant breeding. To add to confusion, the term GM is often used imprecisely to include other, older technologies. For example, industry often says that farmers have been “modifying” plants and animals for centuries. While farmer plant and animal breeding is the foundation of our entire food system, directly changing the genetic makeup of organisms at the molecular level in the laboratory is entirely new and different. What GM Foods are on the Market? Four GM crops are grown in Canada and are currently on the market as food: corn, soy, canola and white sugar beet (for sugar processing). These are widely used as ingredients in processed foods and as animal feed in meat and dairy production. There is also small amount of GM sweet corn but there is no GM popcorn. GM apples, potatoes and salmon could soon be sold as food (a small amount of GM apples and GM potatoes could be sold in the summer and fall of 2016) but are not yet on the market. Also, GM cotton (cottonseed oil) and some papaya and a few types of squash are grown in the U.S. and can be imported into Canada. – GM Apples: A GM non-browning apple was approved in Canada and the US in 2015 but it is not yet on the market. – GM Potatoes: Monsanto took GM potatoes off the market in 2001 because of consumer rejection but Health Canada has just approved a new GM potato in 2016 and some could hit the market in the summer of 2016. 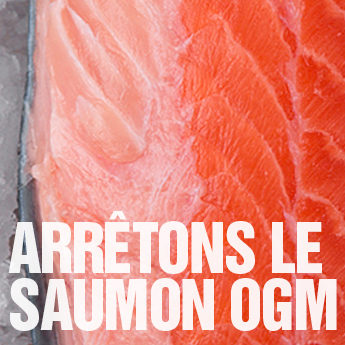 X GM Salmon: A GM Atlantic salmon was approved in May 2016 in Canada but it is not likely to be sold as food until 2017 at the earliest. X GM Tomatoes: There are NO GM tomatoes on the market anywhere in the world. X GM Wheat: In 2004, Monsanto withdrew its request for approval of GM wheat in Canada and the US because of consumer and farmer protest. Monsanto has relaunched its GM wheat research. Click here to print up the chart of GM foods for your fridge or contact us for copies! How Can I Avoid GM Foods? Buy certified organic food. Genetic modification is prohibited in organic farming. This includes organic dairy, eggs and meat because animals in organic farming are not fed GM grains like corn or soy. Avoid processed foods with corn, canola and soy ingredients. Buy cane sugar to avoid eating sugar from GM sugar beets. Choose products with the Non-GMO Project Verified seal. 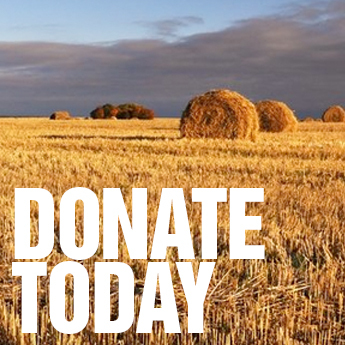 Support farmers who reject GM: buy food directly from farmers who do not plant GM corn, canola or soy or use GM grains for meat, dairy or egg production. Is there a PLU (price look-up) code that tells me if a product is a GMO? There is no code for GMOs. The code number “8” is NO LONGER USED FOR GMOS: The International Federation for Produce Standards set aside a number (8) for identifying GM foods but it was not being used and was changed in 2015 to identify conventionally produce (not organic) food. The code number “9” denotes organic produce: This code distinguish between organic and conventionally produced fresh fruits and vegetables. Organic food is produced without the use of any genetically modified organisms. Organic produce is identified with a number that begins with “9”: for example, 4011 identifies a conventionally grown papaya and 94011 identifies an organically grown papaya. But organic food is already identified with the national Canada Organic standard logo. There are actually very few GM fruits and vegetables on the market. Click here for a list of GM foods sold in Canada. 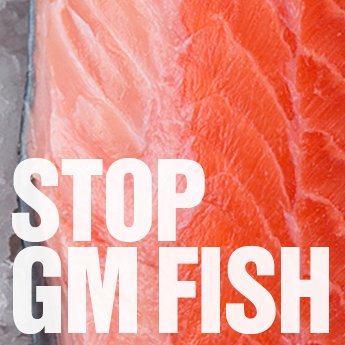 We don’t know what, if any, impacts GM foods could have on our health. There are many unanswered safety questions. There is no scientific consensus on the safety of GM foods. GM foods are approved for human consumption based on company-produced science. The data is kept confidential and is not peer-reviewed by independent scientists. 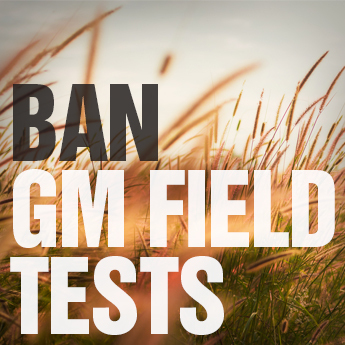 There are very few long-term, independent tests on GM foods. Health Canada does not do its own testing. There is no mandatory labeling of GM foods in Canada, and no tracking or monitoring of possible health impacts. or see the report “GMO Myths and Truths, An evidence-based examination of the claims made for the safety and efficacy of genetically modified crops”, by Michael Antoniou, PhD, Claire Robinson, and John Fagan, PhD, published by Earth Open Source. Once GM plants are released into the environment they are difficult or impossible to control or recall. Genetic pollution is irreversible living pollution that self-replicates. Contamination of other plants is a major problem because the genes from crops can move, via seed and pollen flow. So far, the use of GM crops is resulting in increased herbicide use, the evolution and spread of herbicide tolerant weeds, and the expansion of industrial farming. Click here for more information on environmental impacts. Who Owns GM Seeds ? Patents on genetic sequences mean that corporations can own seeds and the use of patented genetically modified traits has helped facilitate corporate consolidation in the seed market. Monsanto is the largest seed company in the world and owns about 86% of GM seeds sown globally. Monsanto is one of six companies that together own 63% of the global commercial seed market and 75% of the pesticides market. 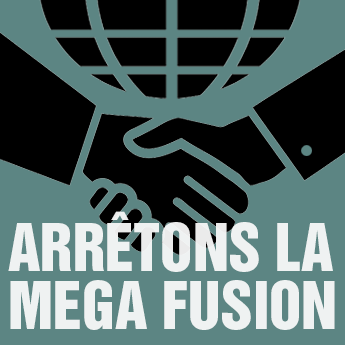 These large companies are set to merge and become just three. Click here for more information. Yes it is! Organic farmers reject GMOs and embrace many important ecological and animal welfare practices. The national Canada Organic standard prohibits the use of genetically engineered (genetically modified or GM) seeds and other GM products, and it also prohibits the use of synthetic pesticides (herbicides, insecticides and fungicides etc). Organic farmers only provide non-GM food. Click here for more information on organic food and farming.